Even the most fairy-tale addicted, Owen Wilson-loving mama wouldn’t call her baby boy Hansel. But lop off the H and all of a sudden, we have an unusual and artistic appellation to consider. Thanks to Bek for suggesting our Name of the Day: Ansel. Ansel has several possible derivations, but only one truly famous bearer – the photographer nearly as well known as an environmentalist, Ansel Adams. The San Francisco native was named after his uncle. 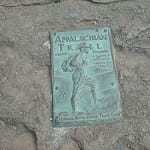 The trail goes cold there, though – Adams’ family is from Ireland and Ansel isn’t strongly associated with the Irish. The Yiddish names Anshel and Antschel, usually said to mean fortunate or happy, may have inspired Ansel. However, the usual interpretation is Asher, as in Jacob’s son in the Old Testament. You might expect Ansel Adams to be a one-of-one, sort of like Django Reinhardt. Not so. Ansel occasionally appeared in the US Top 1000 in the late nineteenth and early twentieth centuries. In 1893, thirteen boys were given the name – a decade before the photographer was even born. In 1923, there were fifty Ansels born in the US – several years before Mr. Adams sold his first snapshot. Anselm, on the other hand, has never appeared in the US Top 1000. Early twentieth-century governor of South Carolina, Martin Ansel. Bridging the gap between the elected officials and the most famous Ansel, there’s Ansel Hall. In the 1920s and 30s, Mr. Hall served as Chief Forester for the Natural Park Service. He got his start in Sequoia and Yosemite National Parks – the latter is, of course, the inspiration for some of Mr. Adams’ most famous images. Overall, Ansel remains a bit of a mystery. His origins are fuzzy, and his use has always been limited. But through the 1920s, Ansel seems to have remained a viable option for parents – something like Edison or Nestor today. Perhaps the widespread admiration of Ansel Adams has made parents reluctant to use the name. But it seems like that’s the perfect reason to choose this appellation. If you’re looking for a nature-tinged name and don’t want to go as far as Canyon, Ansel might be just the right choice. Does anyone have any thoughts on whether this name will pick up with the appearance of Ansel Elgort on the scene? I’ve loved this name for many years, but I wonder if it’ll have a temporary “trendy” period in the next couple years. How funny that I never saw this article–I’m the mother of an Eben (EH-ben, not EE-Ben) Ansel! It is a great name, and we were most certainly inspired by Mr. Adams (as well as my husband’s family history–both his father & grandfather are/were well-known photographers). Ansel is very cool. My sister’s best friend actually dated one for a while. I hope I’m not stereotyping when I say this (if I am, it’s all meant in a very positive way), but does it seem to anyone else that Filipinos have a greater tendency to pick daring and awesome names for their kids? Ansel was Filipino. I grew up in a largely Filipino area, and I’ve known a Rolando, a Romina, a Rowena, a Bliss, a Giselle, an Ionie (like the sea), a Ciara (before the name got popular), a Guinevere — and I’m sure I’m forgetting some others. Has anyone else noticed this? Ansel is a great name… and I kind of get a kick out of the mystery of it’s true derivation. I have found myself drawn to Ansel over the past year or so. My husband’s involvement in a local camera club, and seeing a large body of Ansel Adams’ work in one place have no doubt increased my appreciation for what I used to think of solely as an “old man’s name”. It’s refreshingly different in a sea of 20 or so oversaturated names. 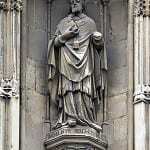 Funny, I had never noticed its similarity to Anselm or Anselmo. Thank you Bek for suggesting it, and thank you Verity for sharing with us. I know an Ansel! Unfortunately he wasn’t a very pleasant little boy and now his personality has infused the name for me. :( Other then that I like the name. As a photographer I enjoy the homage to Ansel Adams, and I like the distinct sound of Ansel. It’s not a name to get lost in the plethora of “n” enders or maiden rhyming names. Ansel is a really nice name. I think it is the sort that any boy/man could live with and make their own, despite the association with Ansel Adams. And it isn’t a bad association, in any case. I really really love Ansel. He’s so handsome without being overtly so. I think he’d have a brother named Magnus. Now if only I hadn’t used a terribly close name for my daughter. One of the ones that got away. You’re welcome! I still feel like I’m missing something in his backstory – why did he fall out of use! ?